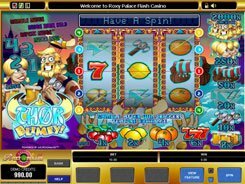 Viking Quest is a funny slot with detailed symbols, a 5x4 reel configuration and 40 fixed lines. The theme of the game is centered on a group of kids going on a kind of quest. They dress like Vikings, go fishing and look for treasure chests. 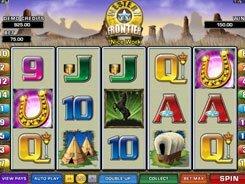 A total bet is configured from $0.4 to $40 per spin. 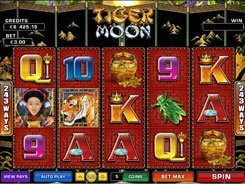 Along with a wild, scatter and free spins, the slot features Mega Icons and two bonus games. Mega Icons are symbols that are bigger than regular symbols and occupy four positions (2x2) on the reels instead of one position as normal symbols do. If a Mega Icon appears on the screen accompanied by regular matching symbols, it can produce a truly amazing win. 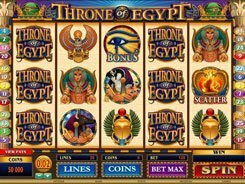 Free spins are awarded for hitting a Mega Scatter symbol that has a 2x2 size, too, awarding up to 16 free spins. There is also the Chest of Fortune bonus unlocked by the treasure chest symbol, and the Go Fishing bonus activated by the Mega Fish symbol. 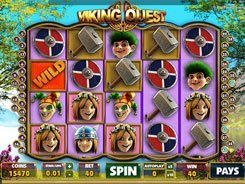 To sum up, Viking Quest is truly unique in that it features huge symbols and amazing animated bonuses with a cool up-to-date look.